Deckplans. 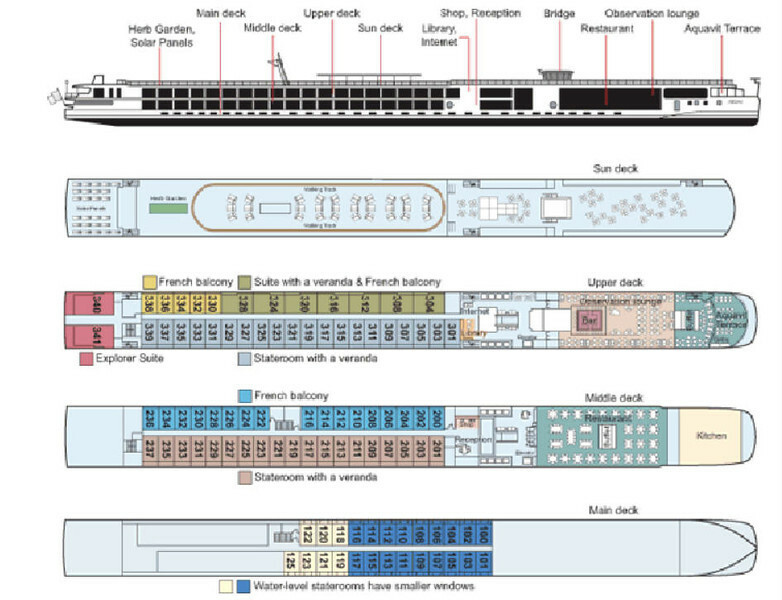 "Water-level staterooms have smaller windows." Glad we weren't there. We were in 205, middle deck, with floor-to-ceiling, wall-to-wall glass doors opening onto a veranda. A narrow veranda. Mike and Dottie were in 203.